Practice Areas: Long Island Lawyer Chioma Nelson directs the New Jersey office of the Masini Law Group and practices primarily in the areas of Family Law, Immigration Law, Landlord/Tenant Matters, Entertainment Law, Civil Litigation, and Municipal Law. 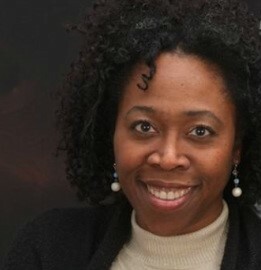 Professional Experience: Chioma has years of experience in her areas of practice. Prior to founding her firm, Chioma worked as an Associate at West Entertainment, a boutique entertainment law firm in New York City. Admissions: Chioma is admitted to practice in New Jersey and the District of Columbia and in Federal Courts of New Jersey and the Eastern and Southern Districts of New York. Professional Associations/Community Service: Chioma willingly volunteers her time and legal services as a pro bono attorney to Volunteer Lawyers for Justice and Legal Services of New York. Education: Chioma earned her juris doctorate from Touro College Jacob D. Fuchsberg Law Center in New York. If you have any questions regarding a legal issue, contact our experienced Long Island Lawyer.